Navaid | Navigation Aid for Air Charter Flights | Stratos Jet Charters, Inc.
Short for ‘navigational aid,’ a navaid provides an aircraft navigator with visual references to the ground. Pilots use them as reference points in establishing and maintaining the position of an aircraft. 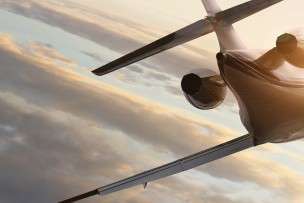 For example, if the pilot in command of an air charter Challenger 300 is in a holding position while waiting to land, he could use navaids to communicate the air charter’s position to air traffic control until he receives further clearance. Pilots commonly use navaids to navigate from point to point throughout the course of a flight plan. Currently, the most widely used form of navaid in civil aviation is known as a Very-high frequency omnidirectional Range (VOR). There are several thousand VOR stations located around the world. Together they form a network of fixed ground radio beacons. As long as an air charter plane is equipped with a receiving unit, a pilot can determine his position and heading using this system. 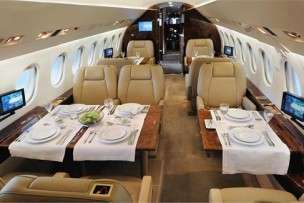 Almost every modern air charter comes equipped with a GPS navigation system so it can take advantage of this state-of-the-art navaid technology.